Description: Open content in an interactive overlay. A dialog is a floating window that contains a title bar and a content area. The dialog window can be moved, resized and closed with the &apos;x&apos; icon by default. A bottom button bar and semi-transparent modal overlay layer are common options that can be added. Specifies which buttons should be displayed on the dialog. The context of the callback is the dialog element; if you need access to the button, it is available as the target of the event object. Object: The keys are the button labels and the values are the callbacks for when the associated button is clicked. Array: Each element of the array must be an object defining the attributes, properties, and event handlers to set on the button. Specifies the text for the close button. Note that the close text is visibly hidden when using a standard theme. Disables the dialog if set to true. If set to true, the dialog will be draggable by the title bar. Requires the jQuery UI Draggable wiget to be included. Number: The height in pixels. String: The only supported string value is "auto" which will allow the dialog height to adjust based on its content. If and how to animate the hiding of the dialog. Number: The dialog will fade out while animating the height and width for the specified duration. 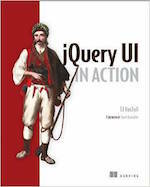 String: The dialog will be hidden using the specified jQuery UI effect. See the list of effects for possible values. Object: If the value is an object, then effect, duration, and easing properties may be provided. The effect property must be the name of a jQuery UI effect. When using a jQuery UI effect that supports additional settings, you may include those settings in the object and they will be passed to the effect. If duration or easing is omitted, then the default values will be used. The maximum height to which the dialog can be resized, in pixels. The maximum width to which the dialog can be resized, in pixels. The minimum height to which the dialog can be resized, in pixels. The minimum width to which the dialog can be resized, in pixels. If set to true, the dialog will have modal behavior; other items on the page will be disabled, i.e., cannot be interacted with. Modal dialogs create an overlay below the dialog but above other page elements. Specifies where the dialog should be displayed. The dialog will handle collisions such that as much of the dialog is visible as possible. Object: Identifies the position of the dialog when opened. The of option defaults to the window, but you can specify another element to position against. 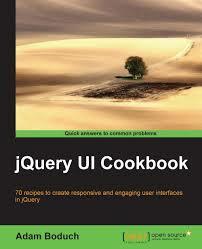 You can refer to the jQuery UI Position utility for more details about the various options. String: A string representing the position within the viewport. Possible values: "center", "left", "right", "top", "botom". Array: An array containing an x, y coordinate pair in pixel offset from the top left corner of the viewport or the name of a possible string value. If set to true, the dialog will be resizable. Requires the jQuery UI Resizable widget to be included. If and how to animate the showing of the dialog. Number: The dialog will fade in while animating the height and width for the specified duration. String: The dialog will be shown using the specified jQuery UI effect. See the list of effects for possible values. Specifies whether the dialog will stack on top of other dialogs. This will cause the dialog to move to the front of other dialogs when it gains focus. Specifies the title of the dialog. Any valid HTML may be set as the title. The title can also be specified by the title attribute on the dialog source element. The width of the dialog, in pixels. The starting z-index for the dialog. Removes the dialog functionality completely. This will return the element back to its pre-init state. Whether the dialog is currently open. Moves the dialog to the top of the dialog stack. Gets an object containing key/value pairs representing the current dialog options hash. Sets the value of the dialog option associated with the specified optionName. Sets one or more options for the dialog. Triggered when a dialog is about to close. If canceled, the dialog will not close. Triggered when the dialog is created. The current CSS position of the dialog. The current offset position of the dialog. Triggered when the dialog gains focus. The CSS position of the dialog prior to being resized. The size of the dialog prior to being resized. The current size of the dialog.